Really nice write up on this common element that we all include in our daily diets. Sodium serves a vital purpose in the human body as it helps nerves and muscles to function correctly, and it is an important compound involved in maintaining fluid balance. 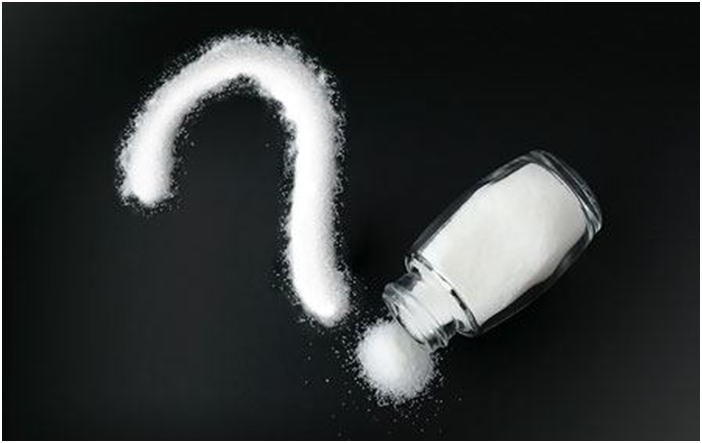 Most of our dietary sodium intake is provided through the consumption of sodium chloride (common or table salt). About 80 per cent of this would come from processed foods and 20 per cent from salt used at the table or in home cooking. Table salt is made up of just under 40 per cent sodium by weight, so a 6 g serving (1 teaspoon) contains about 2,400 mg of sodium (note that some of the calculations below use the more exact 39 per cent of sodium). Apart from table salt, it has been estimated that a further ten per cent of dietary sodium intake would be provided from naturally occurring sodium or sodium-containing food additives. 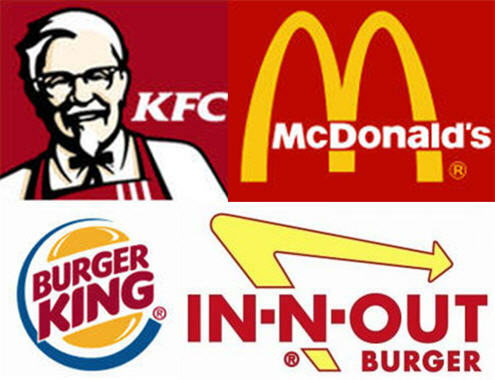 There is a lot of talk about fast foods and processed foods being not as healthy for us. Here is a fine example of that from the Center for Science in the Public Interest (CSPI). An order of TGI Friday’s Jack Daniel’s Ribs & Shrimp with Seasoned Fries and Coleslaw has 4,000 milligrams (mg) of sodium—more than one-and-a-half times the daily sodium limit (2,300 mg a day) for healthy adults. A diner who eats that entrée along with half a high-sodium appetizer and half a high-sodium dessert could end up swallowing 6,450 mg, or almost three days’ worth, of sodium. The nonprofit Center for the Science in the Public Interest is releasing the first of a series of “Salt Assaults” spotlighting the incredibly (and unnecessarily) high sodium content of many packaged and restaurant foods. The Dietary Guidelines for Americans says that many adults can consume up to 2,300 mg of sodium, but adults with prehypertension and hypertension (about two-thirds of all adults) would do well to limit their consumption to 1,500 mg per day. Being aware of calorie consumption is a very useful tool in getting control of your weight. However, a recent study by the New York City Health Department made some interesting findings regarding sodium, according to MedPage Today. High salt/sodium intake is a major contributor to cardiovascular disease. The American Heart Association recommends that adults stay under 1500 mg of sodium per day, and never take in more than 2,300 mg a day. 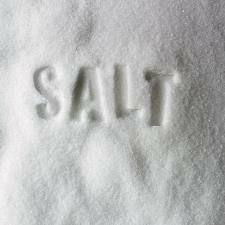 ▪ About 57% of the meals exceeded the 1,500-mg daily sodium level. 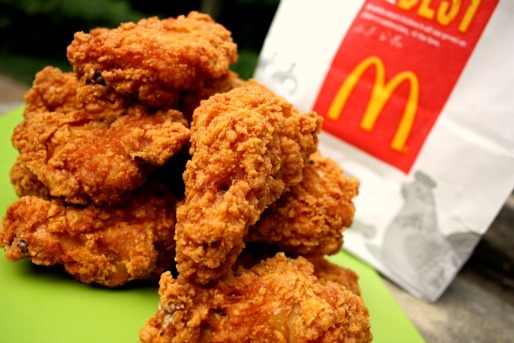 ▪ Fried chicken outlets including KFC and Popeye’s were the worst offenders, with 83% of meals exceeding 1500 mg of sodium and 55% of the meals surpassing 2,300 mg of sodium. ▪ At only one of the 11 chains included in the study, Au Bon Pain, did more than 7% of meals contain less than 600 mg, the FDA’s “healthy” sodium level for meals. But even there, 46% of meals had 1,500 mg or more of sodium. ▪ Even those eating lower calorie meals were likely to exceed their daily sodium limit within a single meal. Because of the higher sodium content in fast food fare, it would seem logical to try and refrain from adding salt to your meal. What Foods Hide High Sodium ? Make no mistake about it. We need salt (Sodium) to live. It is important for fluid balance, muscle strength and for our nerves to work. On the other hand, most of us suffer from too much of a good thing – salt. We need around 2000 milligrams a day and medical experts say that many of us should cut it to 1500. So, how do we get ourselves to consume too much salt? The answer for most of us is – unwittingly. Much of the salt we consume is hidden in other foods, it doesn’t come from the salt shaker on our table at all. 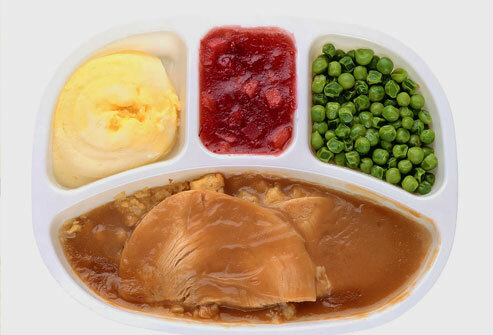 WebMD gives a list of offenders starting with frozen dinners. Some ready to eat cereals are big offenders, like raisin bran, but puffed rice and puffed wheat are sodium free, says WebMD. 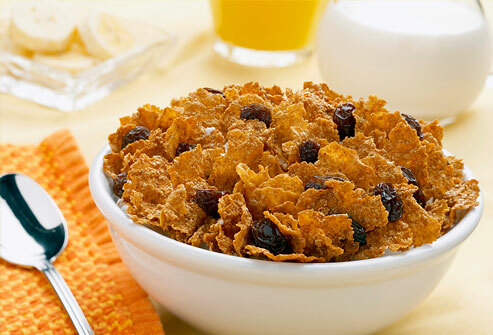 Raisin bran can have as much as 250 mg per cup. One that surprised me was canned and bottled vegetable juices which seem like the essence of healthy eating. 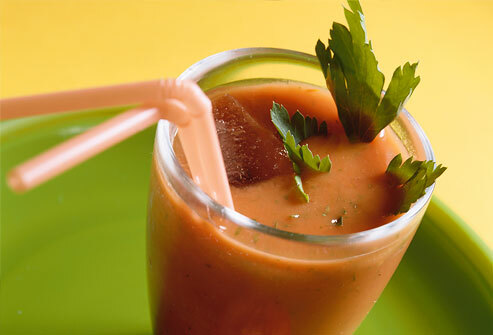 One cup of vegetable juice cocktail has 479 mg of Sodium. Veggie drinks can be big offenders. WebMD goes on to list canned vegetables, packaged deli meats, canned soups, marinades and flavorings, spaghetti sauce, salty peanuts, pretzels, potato chips, ketchup, sweet relish. You can read them all at the WebMD link above. The bottom line is that you really have to read food labels. That gives you a running start on protecting your health and controlling your weight. Also, you have to pay attention to serving size. A label may give an attractive-looking number, but if there are several servings in a package, you may be consuming more salt than you planned. Most of the salt in your diet comes from foods that might not even taste salty, like bread, meat and dairy products, according to the Centers for Disease Control (CDC). You can read more about high blood pressure here: Some Steps for Keeping Blood Pressure in the Safety Zone, What is High Blood Pressure?. Eating too much salt raises your blood pressure. Sadly, the salt shaker on your table is not the culprit, almost 80 percent of the salt is already in the food you buy, especially in processed and restaurant foods. The CDC suggests small changes that can make a big difference in your salt consumption. * Know your recommended limit for daily sodium intake. Most Americans should consume no more than 1,500 milligrams per day. * Read the Nutrition Facts panel on the foods you buy, and choose products that are low in sodium. *At restaurants ask for foods with low salt. * Talk to your school, worksite, local grocer, and favorite restaurants about providing more lower- sodium options. You can also read What Foods Hide High Sodium for more on hidden salt.